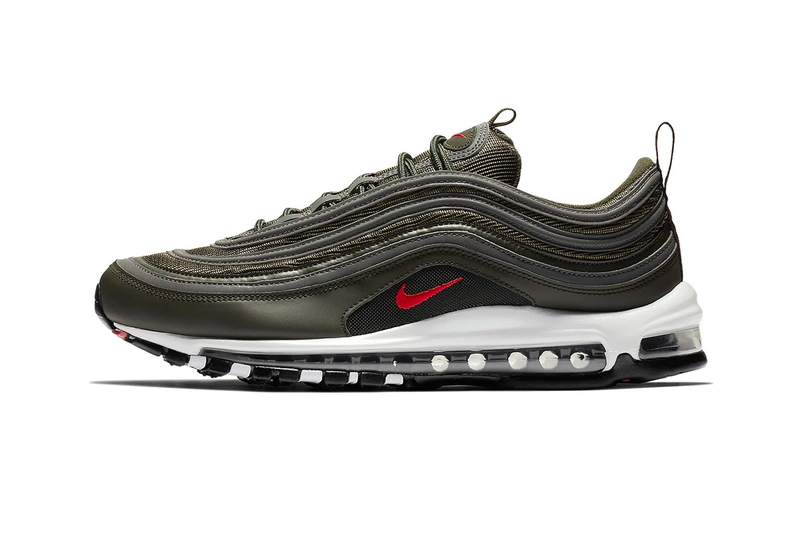 Nike’s Air Max 97 has already hit our pages multiple times this week, one in a “Red Orbit” motif and another sporting a “Baroque Brown” makeover, in a sense setting the stage for this new “Sequoia” rework. A mix of leather and mesh dressed in a deep forest-style green invades the upper, with subtle hits of “University Red” found on the side and tongue Swooshes adding a hint of tonal contrast. Sitting below, we see a white Air-centric midsole and a multi-toned rubber outsole, helping to cap off the new colorway, while further extending Nike’s ever-growing AM97 catalog. Priced at $160 USD, the new Air Max 97 “Sequoia” will make its debut via Nike’s online shop sometime in October. Stay tuned for updates. In case you missed it, the Air Jordan 33 waves goodbye to laces & welcomes Fast Fit technology. Nike Adds Double Swooshes to Its Air Max Plus "Overbranded"